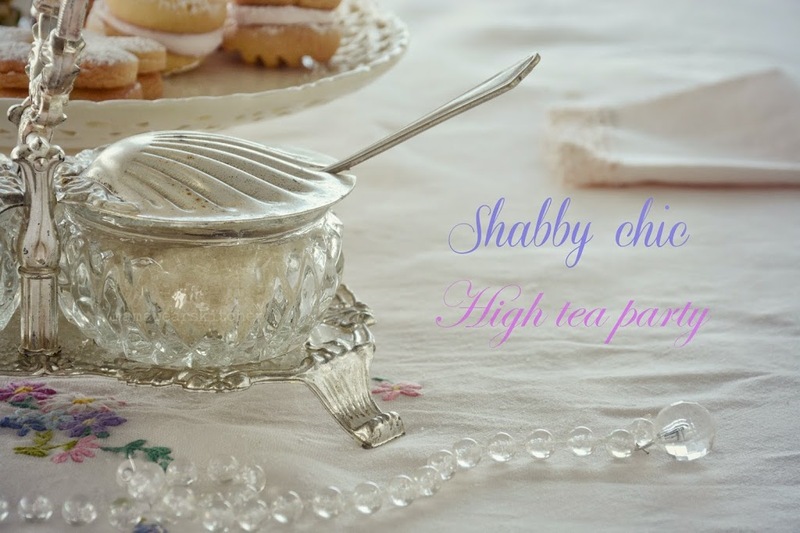 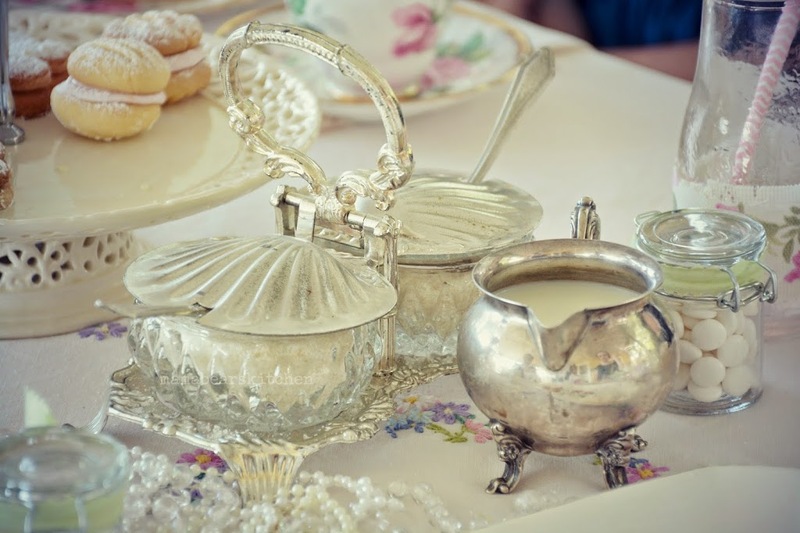 Last year I had the honour of creating a high tea party for a group of sweet young ladies who wanted a fanciful afternoon tea together. 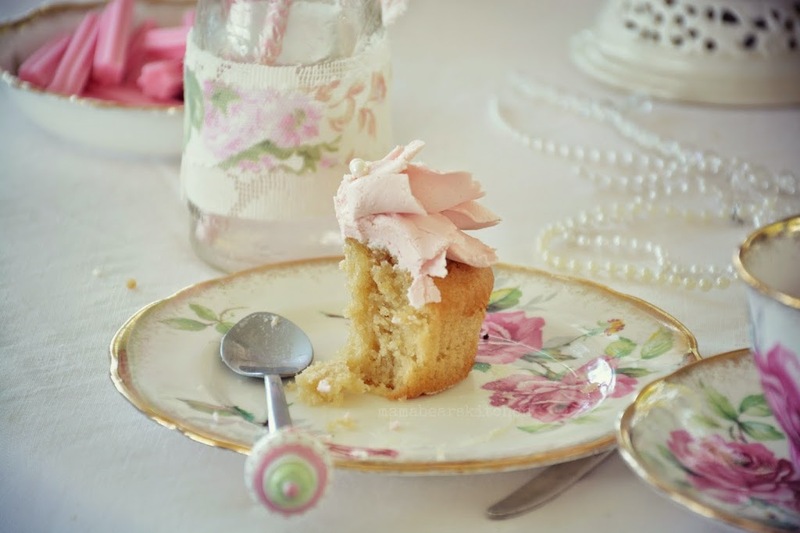 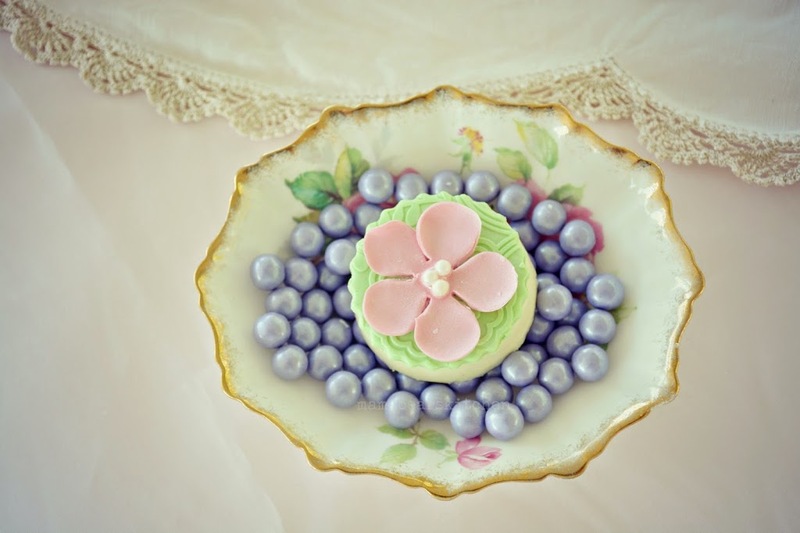 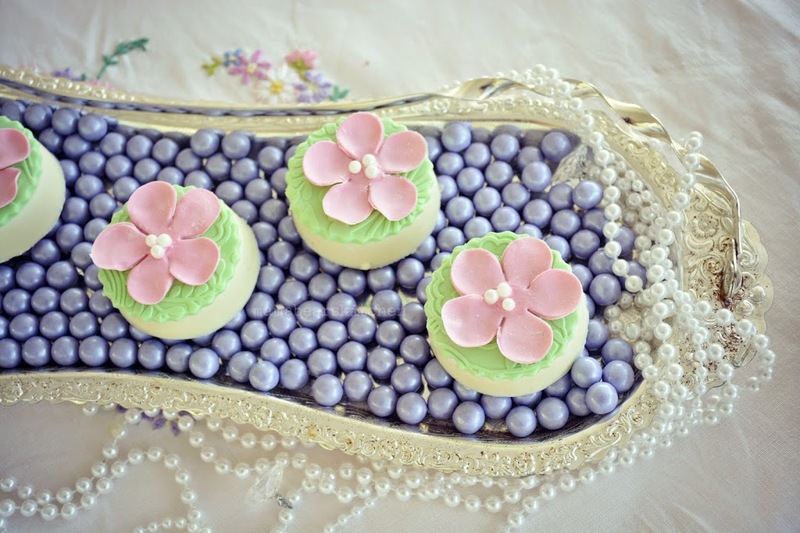 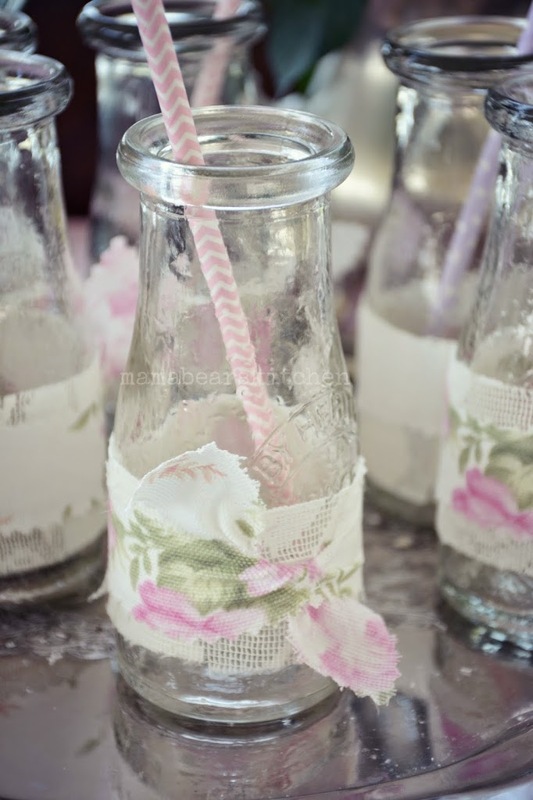 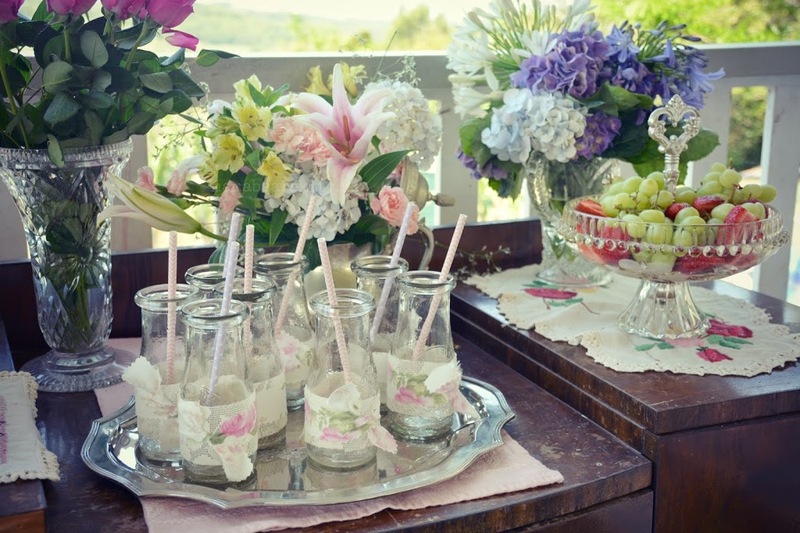 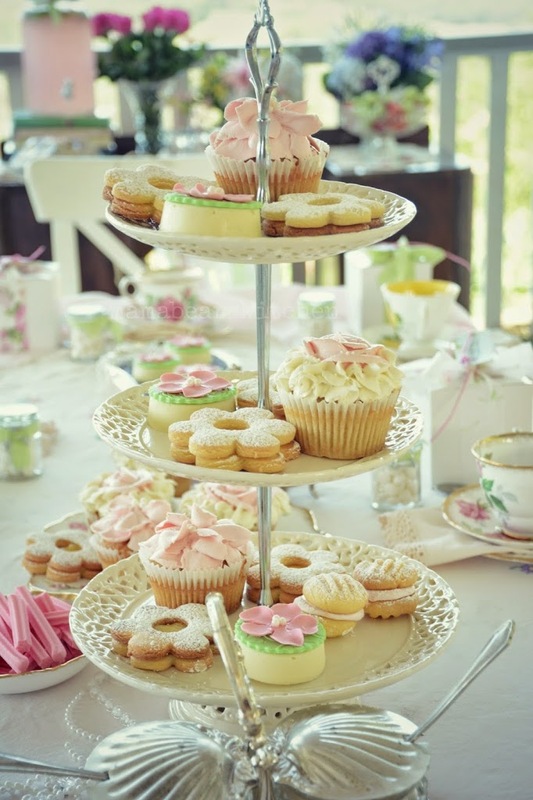 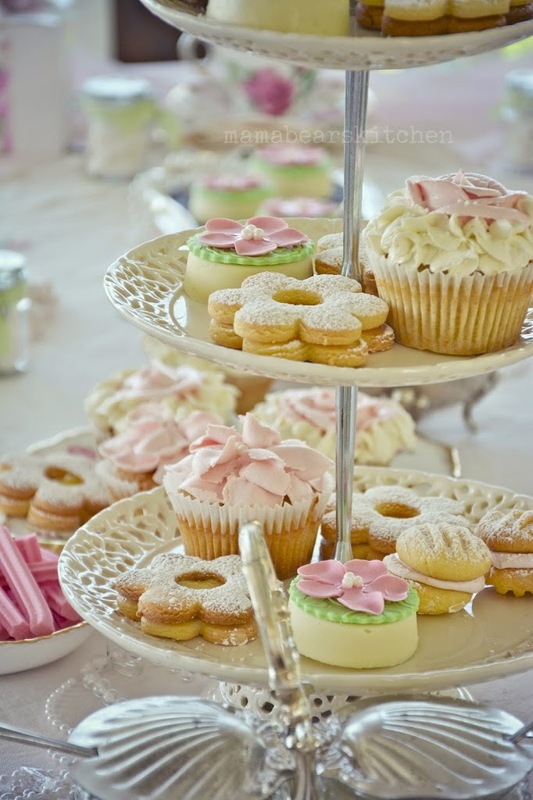 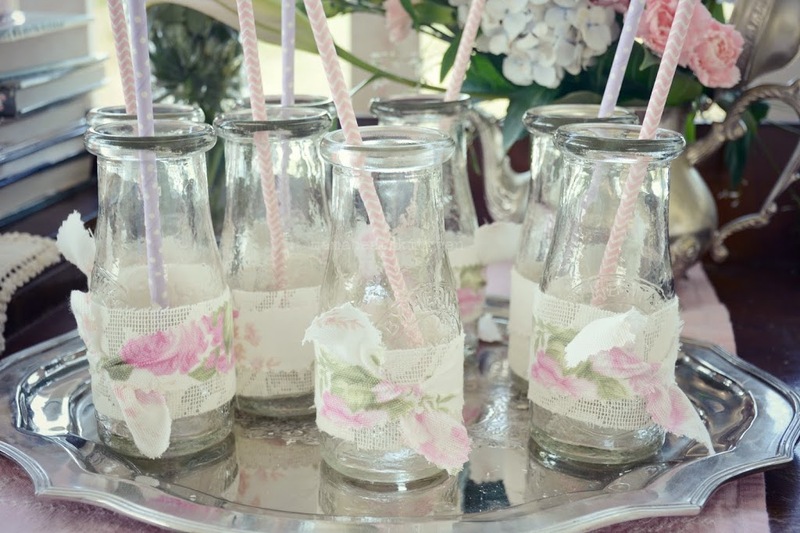 A shabby theme was chosen, with soft pink and green being the main colour scheme, with an added hint of lilac. 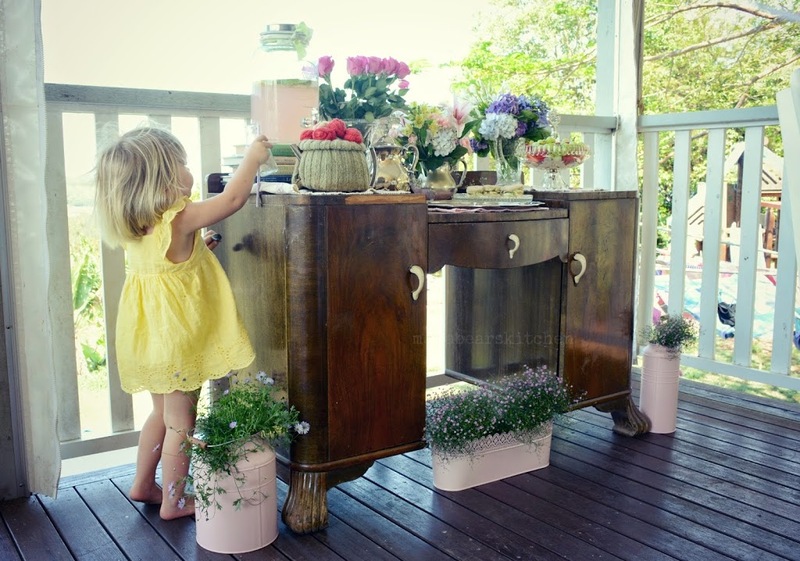 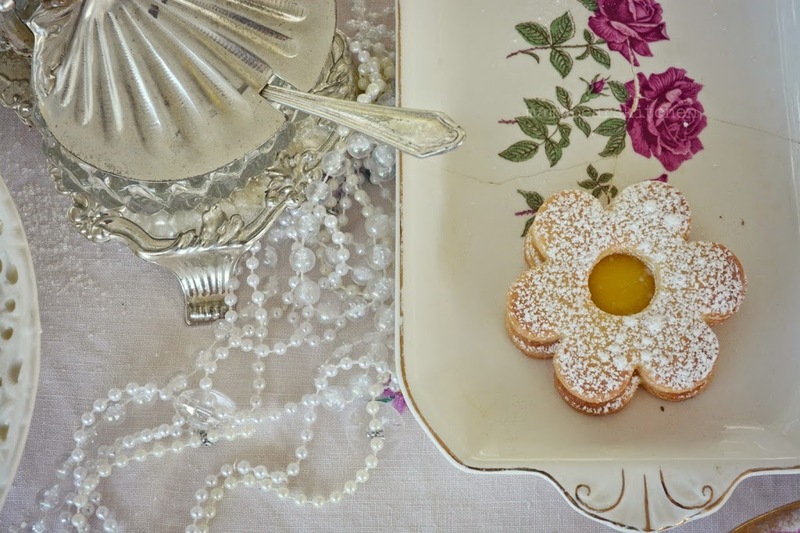 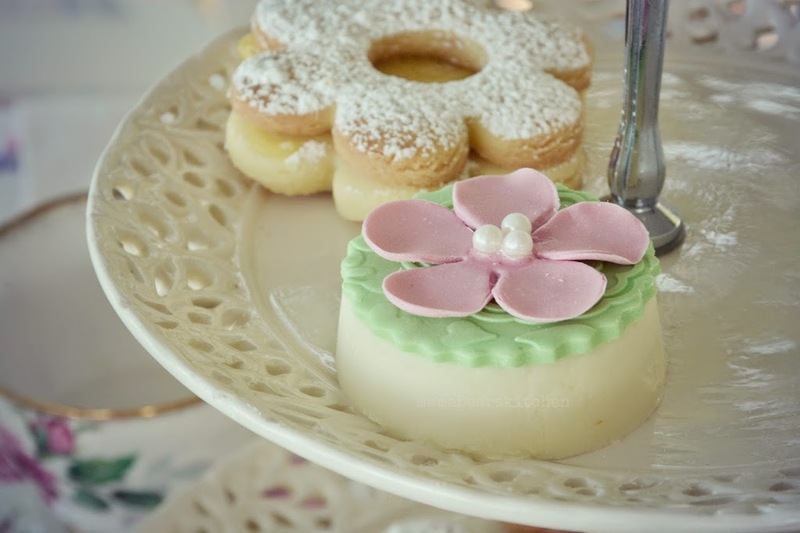 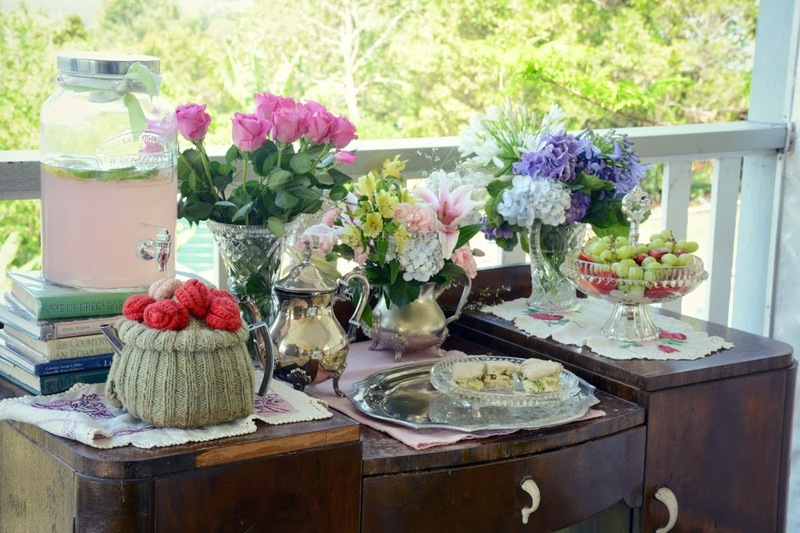 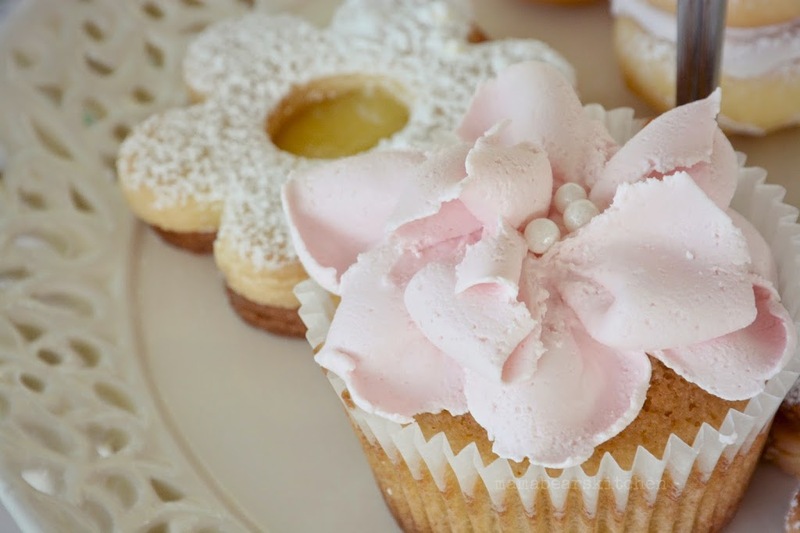 The menu included Chicken and tarragon ribbon sandwiches, a summer fruit platter, and an array of homemade treats such as rose with french vanilla cupcakes, white chocolate covered Oreo cookies, lemon blossom sugar cookies and raspberry melting moments. 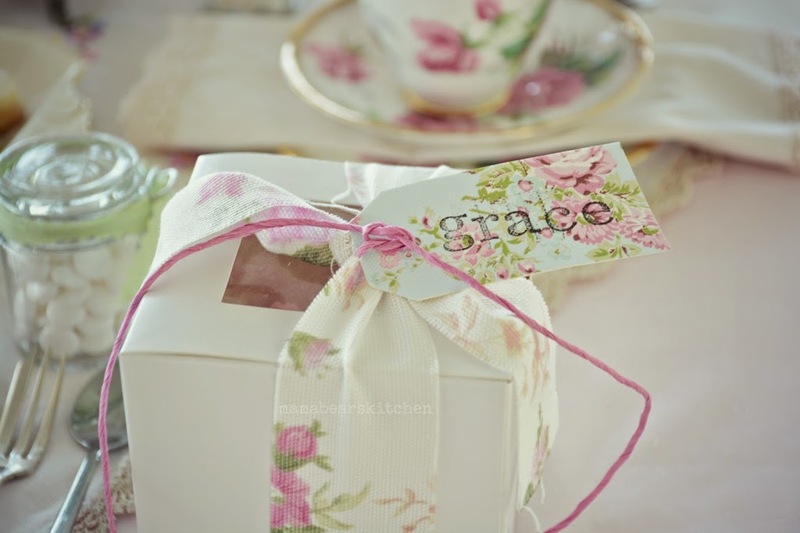 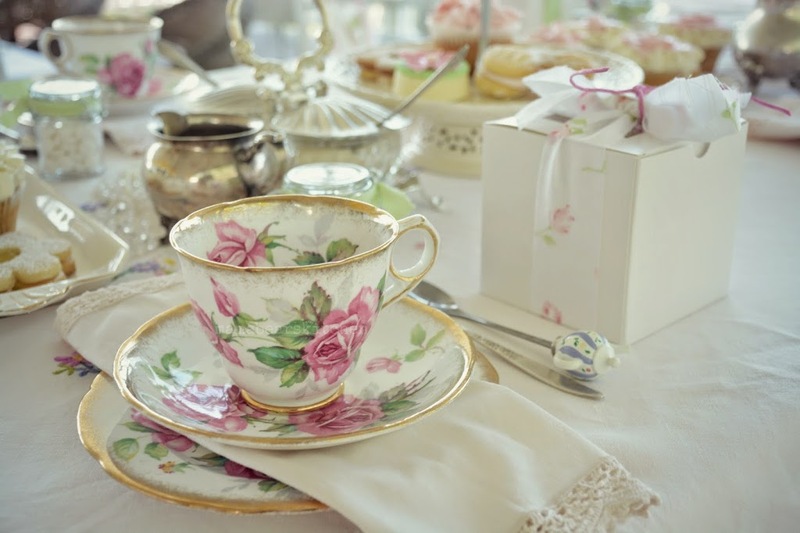 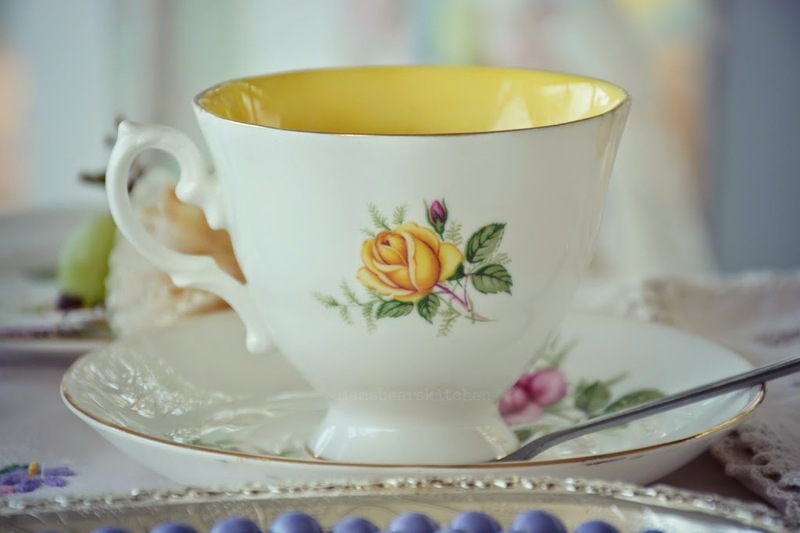 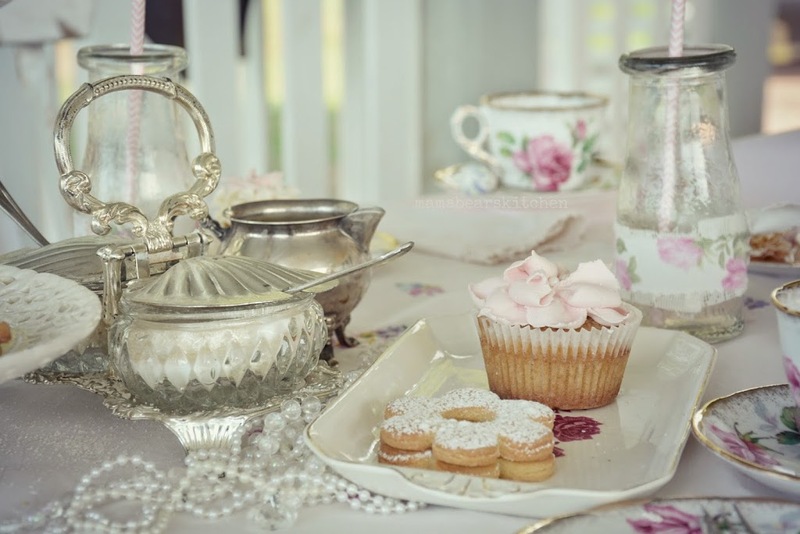 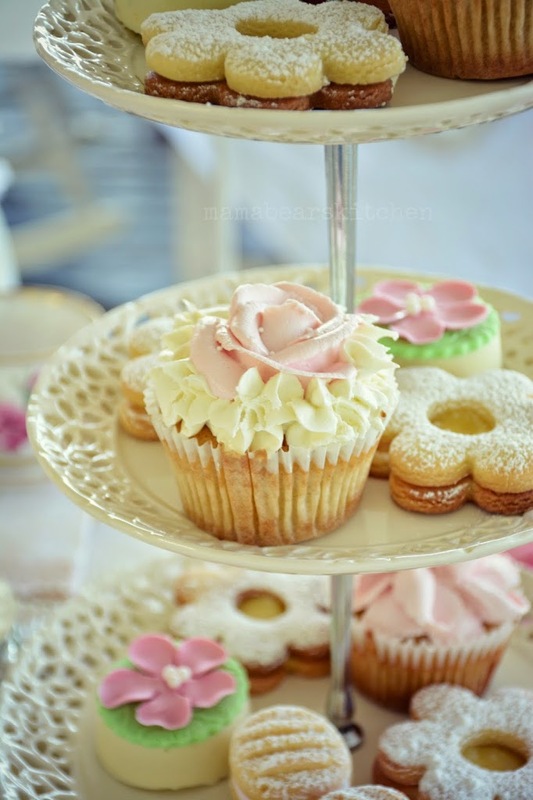 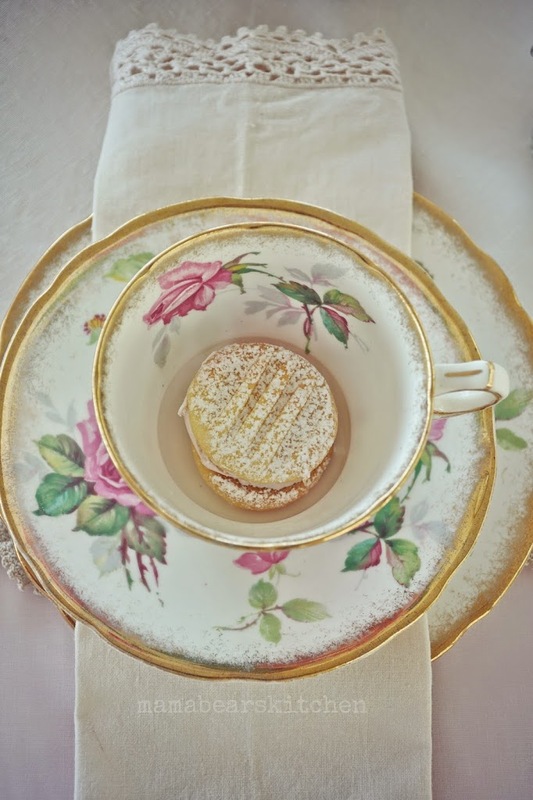 Each place setting was adorned with a pretty rose tea cup, linen napkin and surprise cookie for the guests. 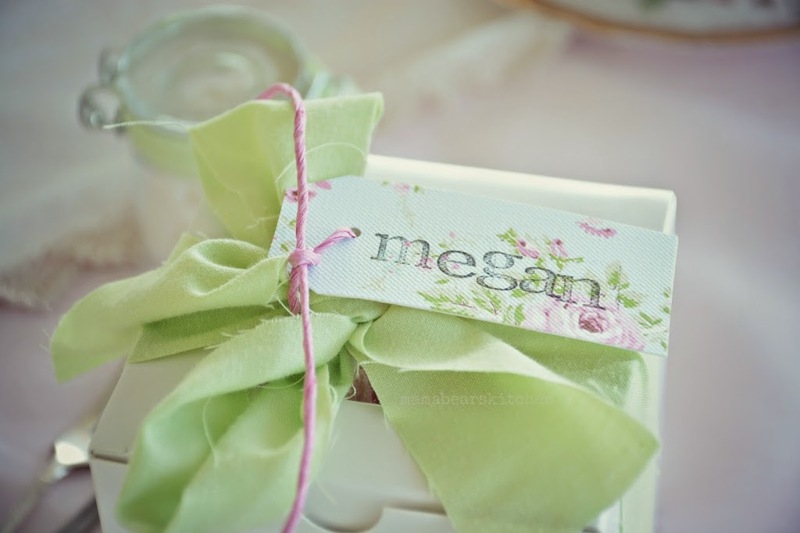 Personalised favour boxes contained a cupcake to take home and were topped with a handmade name tag. 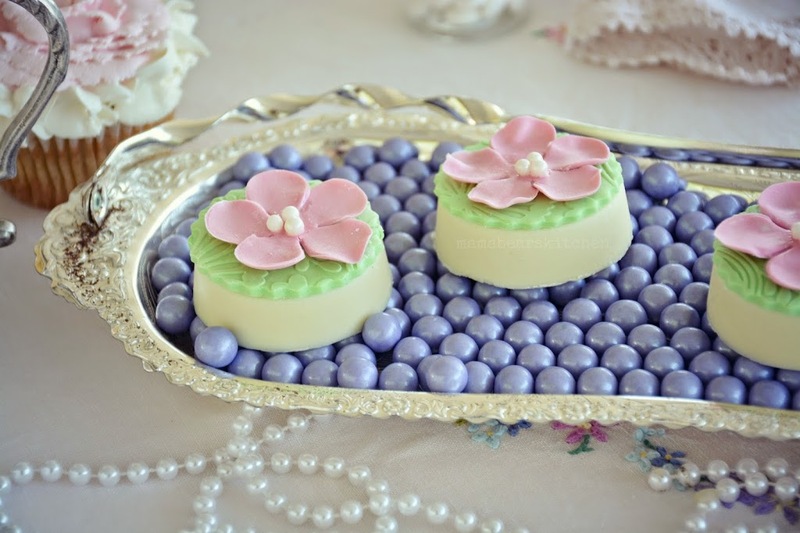 A little jar of mints was also given to each guest. 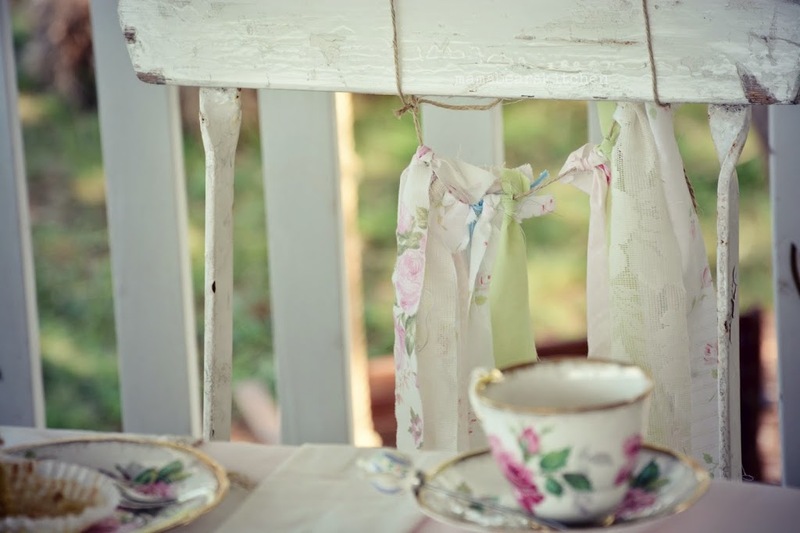 The table decorations were kept minimal, as I wanted the pretty tea cups and food to take centre stage. 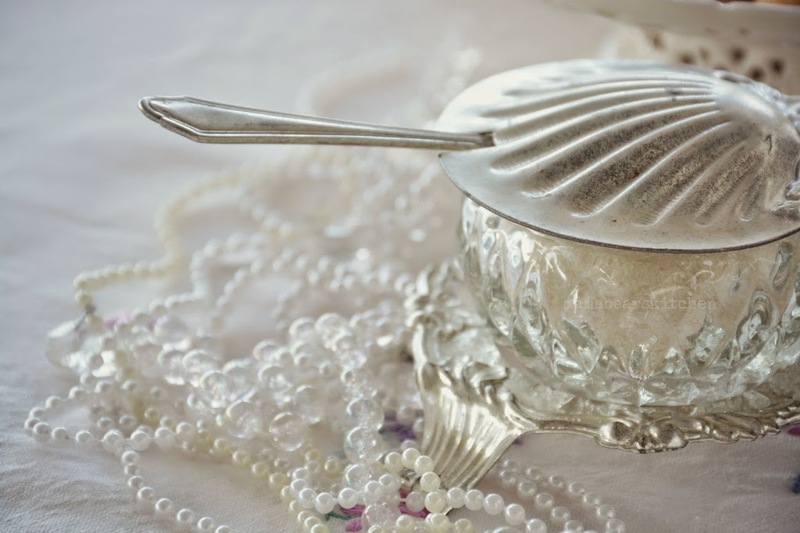 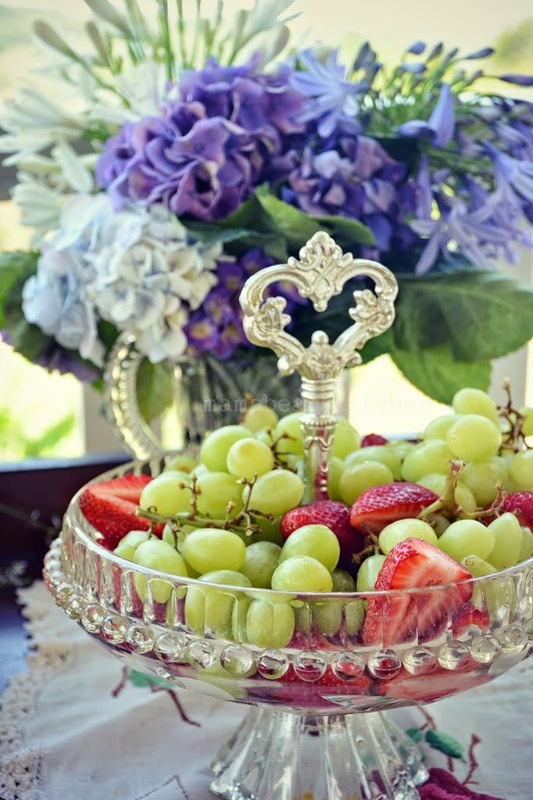 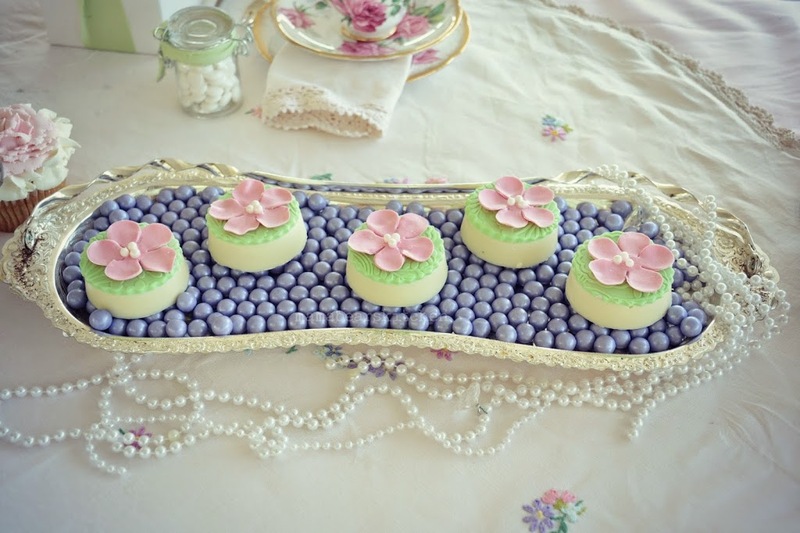 It doesn’t really take much to create a beautiful table setting that can delight your guests. 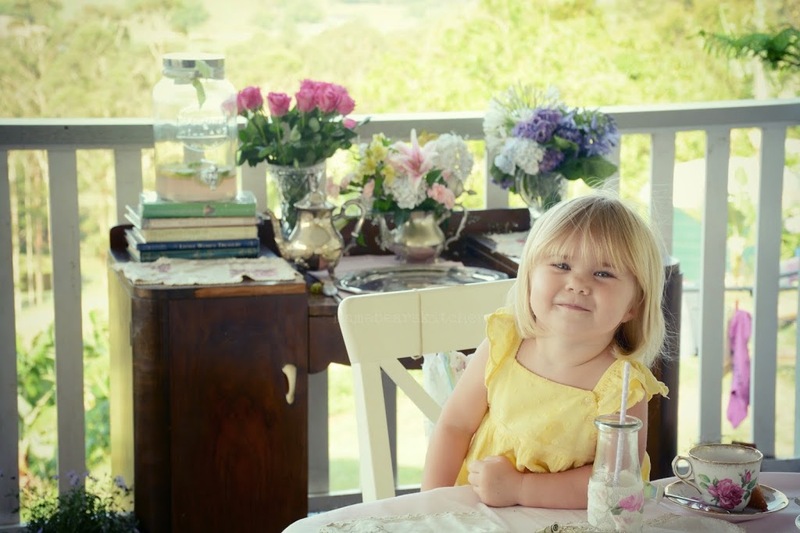 These sweet young ladies certainly enjoyed their spiffy afternoon tea!